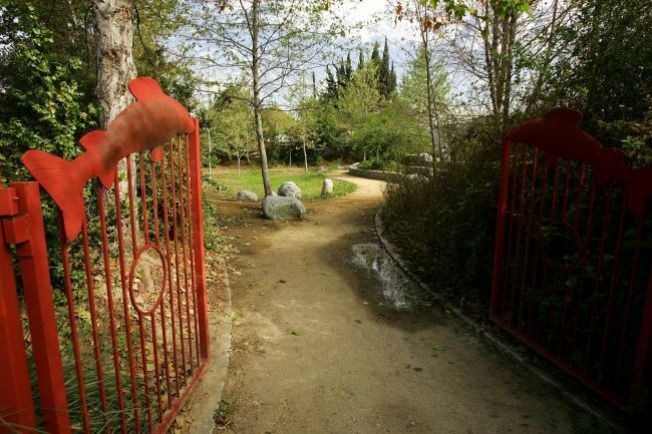 Silver Lake's new Walking Path sparks beauty, controversy. Silver Lake's new walking path eliminates the unsightly concrete in favor of manicured dirt paths much like this one near the LA River. No red iron gates, but there will be black fence. Walking neighborhoods and parks are a rare find in car-happy LA. Silver Lake, one of those rare areas, is making it even nicer to stroll, jog, skip, levitate around the reservoir with the shiny new Walking Path project. In place of joint-angering pavement, the Walking Path is made of blessedly soft earth, restoring the area to its more earthy setting. Naturally it wouldn't be LA without some drama. According to Curbed LA, rogue Silver Lake residents have already been jumping barricades to test out the new path, apparently much to the chagrin of their neighbors. Why so eager? See photos of the old path. Check it out for yourself at Saturday's ribbon-cutting ceremony: December 20, 10AM at Silver Lake Blvd. and Armstrong Ave.